Let’s take a look at why doing business with U.S.-based PCB Solutions will be one of the best business decisions you ever make. Quality – Dealing with a U.S.-based PCB supplier means your product is handled by folks who understand American quality. Chinese suppliers often don’t understand what is needed to meet American standards. Knowledge – It’s a challenging market and we understand how to navigate it. And we emphasize working with other U.S.-based companies to build components whenever possible. Reliability – You need to be able to rely on your supplier, to have good lines of communication, and expert knowledge in the field. You can always count on PCB Solutions to deliver the best in products and support. Service – We pride ourselves on being easy to work with and consistently provide excellent service and on-time delivery of our quality, custom fabricated printed circuit board products. Out-of-Control Shipping Costs – International shipping rates can make or break your business. Keeping shipping costs under control is a challenge. At PCB Solutions, we know how to negotiate terms and coordinate volume to obtain the most competitive international shipping rates for custom fabricated products. Customs Compliance – Are you an expert in customs rules and importing requirements? That’s probably not your field. Letting PCB Solutions handle these issues will free up your time and ease your mind, knowing everything is in compliance with the law. Lack of Quality Control – How do you know the Chinese company you’re thinking of working with is any good? Can you even be sure the factory they’ve sent you pictures of is theirs? What if their product falls short of expectations? What options do you have for getting a favorable resolution if there is a problem? These are only a few of the harrowing questions that come to mind when thinking of what could go wrong with a non-U.S. supplier. No Payment Terms – The majority of overseas suppliers and trading companies require prepayment. Not only does this put a huge burden on your budget, but what if there is a quality control problem? How easy do you think it will be to get the problem corrected when your overseas supplier has already received 100% payment up front? I think we all know the answer to this one. 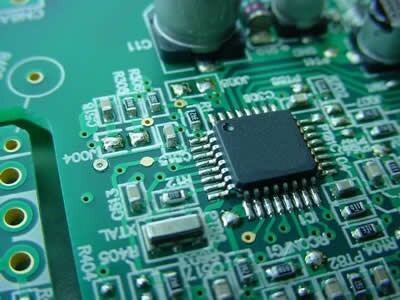 If you want a PCB Supplier who gets you prompt quotes, provides quality products, and on-time delivery, with the finest in American-quality custom-made products, PCB Solutions is the answer you’ve been looking for. We’ve spent years getting our Rigid and Flexible PCB supply chain in place so we can offer world class products and services. Let us put our experience to work for you!